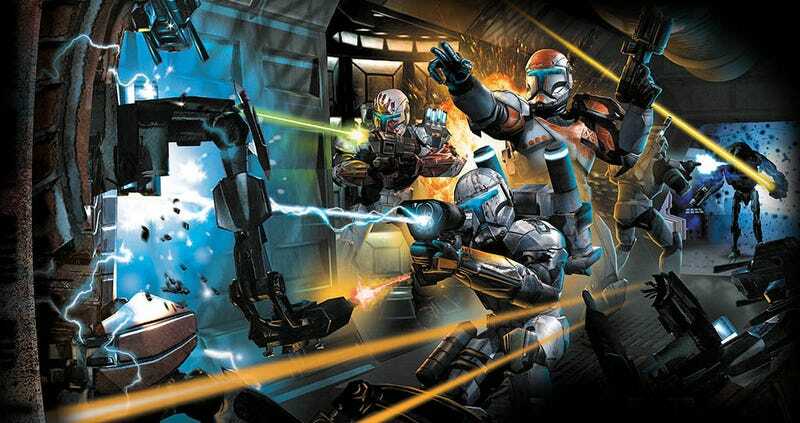 While Republic Commando never actually got a sequel, for a short time plans were in place to make one. At Lucasarts HQ, there were two competing storylines vying for selection. While the latter might have had a cheery sense of optimism about it, how great would it have been to play the former? Provided, of course, the game made it a little harder to actually kill them. As for why that sequel never got made, Douville says that just as the storylines were being put together, Lucasarts decided on a company-wide “reboot”, and most of the developers of the original game up and left. They hadn’t even had a chance to formally pitch the game to executives yet. A sad tale, then, but if Disney were willing to resurrect Star Wars: Battlefront, then there’s hope somewhere down the line that they revisit the idea of a tactical FPS as well.